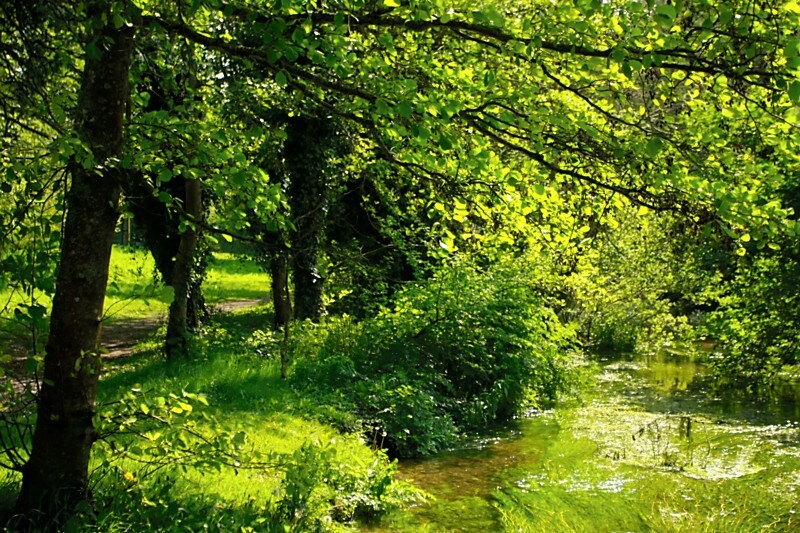 Bere Stream is a chalk river which, along with the open areas to either side, is a valuable wildlife area. With your help it can be made more wildlife friendly. 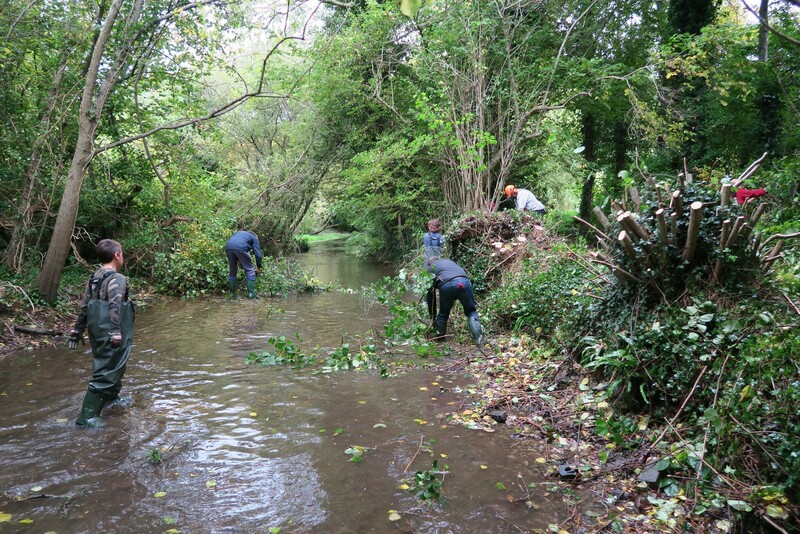 Without proper management the areas alongside the stream would become more overgrown and the stream overshadowed, leading to a less wildlife friendly habitat. 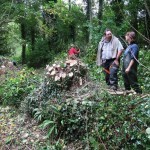 Works are proposed to avoid that, with specialist advice provided by Dorset Wildlife Trust. 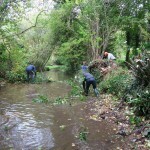 The aim is to conserve and enhance the wildlife value of Bere Stream and the open areas alongside it (between the Scout Hut and Shitterton), by providing a diverse range of habitats within which fish and other water life, plants, wildflowers, bees, butterflies and birds can all flourish. 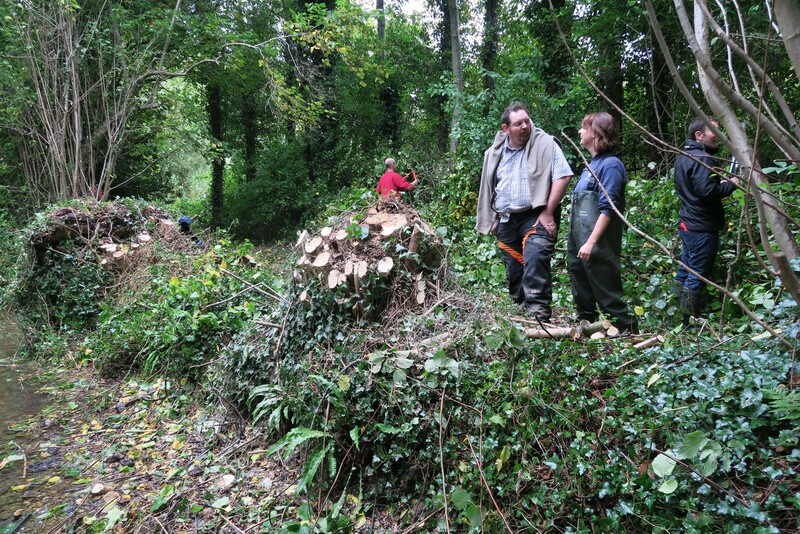 working parties have been arranged when you can help with these works. clearing some areas of undergrowth, such as brambles, to allow wildflowers to flourish thereby attracting more insects, bees and butterflies. 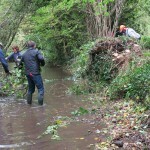 On the 12th September the first Bere Stream working party was held. 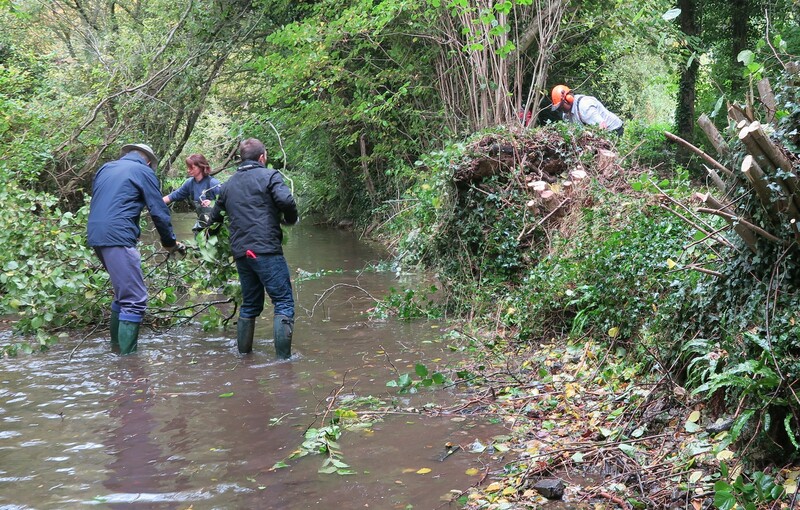 The weather was good and helpers had a morning of fun, splashing about in the stream to carefully remove some of the extensive build up of vegetation. Future Working Parties will be held on Saturday 7th November and Saturday 5th December. Everyone is welcome to come along and help. Purbeck District Council have formally agreed to hand over the land to Bere Regis Parish Council in 2013. This is now being looked after by the Lengthsman.